The seawwed baguette is crispy and delicious. It has a rustic look and is genuine craftsmanship. The beguette is suitable for fish dishes, hot dishes and it completes the lunch table. 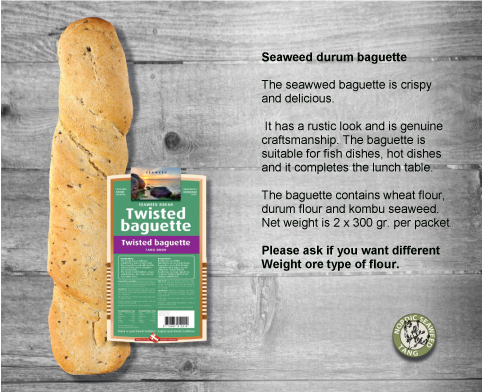 The baguette contains wheat flour, durum flour and kombu seaweed. Net weight is 2 x 300 gr. per packet.